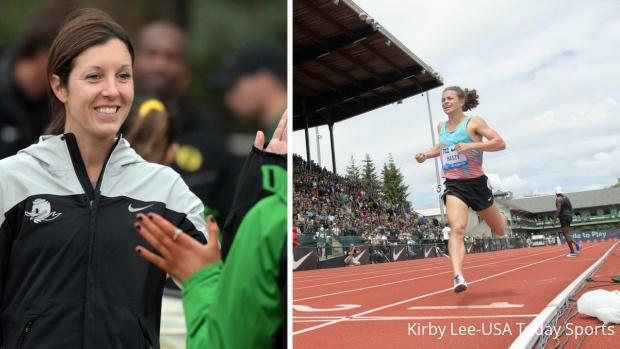 Former Oregon distance coaches Maurica and Andy Powell left Eugene to take over at the University of Washington back in June, but even two months later, the reverberations from their move to Seattle are still being felt across the NCAA and beyond. And some of the seismic shifts came as a result of moves made by high school graduates. When two of the best coaches in the NCAA take new jobs, the resulting butterfly effect can dramatically alter the fortunes of multiple teams. That's been the case in the wake of the Powells' decision, and below we've charted who's made out the best (and worst) so far after this big coaching change. This one is obvious, as Washington will enter the fall with a revamped coaching staff and roster. While both the men's and women's programs will clearly benefit from having two exceptional coaches, we're just focusing on the women for now since they've gained the most talent in the short term because of the Powells. After the departure of head coach Greg Metcalf, who resigned amid allegations of verbal abuse from former athletes, Washington hired two of the most successful coaches in the NCAA by plucking Maurica and Andy Powell from Oregon. In their 13 years with the Ducks, the duo helped build Oregon into a perpetual title contender every year in both cross country and track--Andy with the men, Maurica with the women--while collecting a bounty of national championships. Just by adding the Powells alone, the outlook in Seattle for 2018 and beyond became much brighter. But on top of the regime change came some more good news: multiple former Ducks would be joining their coaches at UW. Oregon's top two female distance runners--All-Americans Katie Rainsberger and Lilli Burdon--are following the Powells to Washington, which will drastically alter the projections for the Huskies this fall. Washington was just 21st last year even with now-departed senior Amy-Eloise Neale's runner-up finish, but by plugging in Rainsberger and Burdon, UW has gone from a likely NCAA bubble team to a potential top-10 squad this season. Such is the power of adding two of the most coveted collegiate distance coaches in America. Losing the two coaches most responsible for Oregon's distance running success for more than a decade is obviously a major blow in Eugene, but ironically the Oregon women seem to have done well after the seismic shift, all things considered. Yes, two of their three cross country All-Americans from 2017 have left for Washington, but as one door has closed, another has opened: former San Francisco All-Americans Weronika Pyzik (fifth at '17 NCAA XC) and Isabelle Brauer (15th at '17 NCAA XC) will follow their coach, Helen Lehman-Winters, to the Pacific Northwest, as will top British recruit Philippa Bowden, who had originally signed with the Dons. Now Oregon once again has a roster that features three All-Americans like they did before Rainsberger and Burdon left, and they also get the bonus of adding a 32:33 10K runner in Bowden. Oregon will have a lot of new faces this season, but don't go crying for the Ducks. Talk about a gift. In the wake of Andy Powell's exit from Oregon, the top male high school recruit in 2018, 4:00 miler Brodey Hasty, was granted his release so that he could sign with... the two-time defending NCAA cross country champions Northern Arizona. For a team that had never won an NCAA title until 2016, NAU has quickly transformed into a top destination for A-list recruits. And Hasty's decision to spurn the allure of Tracktown for comparatively quiet Flagstaff signaled as much. The Lumberjacks were already returning four All-Americans, plus 60th-place finisher Luis Grijalva, from their title-winning squad last year, and now with Hasty on board they look even more unstoppable. The good news for the men of Oregon is that they continue to have a young and talented distance core that includes up-and-comers Cooper Teare, Reed Brown, and Austin Tamagno, plus a proven new distance coach in former Virginia Tech boss Ben Thomas. That's a lot to build on in the coming years. But still, the departures of Tanner Anderson--the team's No. 1 at NCAAs last fall--and top miler Mick Stanovsek to Washington hurt, as the Ducks lost key contributors to both their cross country and track teams. Anderson, an NXN winner in 2014, was 41st at NCAA XC last year, while Stanovsek is a 3:56 miler who ran on Oregon's third-place DMR in 2018. But perhaps even more painful than losing those two is the decommitments of their top recruits. Both Hasty (4:00 mile; 8:00 3K; second at NXN) and 1:47 800m man Josh Hoey backed out of their signings upon the Powells' exit. Hasty subsequently signed with NAU, while Hoey choosing to go pro with adidas--another double-whammy to both the cross country and track programs. No team has been hit harder by this coaching carousel than the San Francisco women, who will enter 2018 with a new head coach and just one returner from their runner-up NCAA XC squad in 2017. After 15 successful seasons as the head coach at San Francisco, including that second place finish last year in Louisville, Helen Lehman-Winters was tabbed to replace Maurica Powell as the distance coach for the Oregon women. Not surprisingly, two of Lehman-Winters' best athletes from last season, Weronika Pyzik and Isabelle Brauer, will follow her to Eugene, which turns a once-promising 2018 season for the Dons into a rebuilding year. As mentioned above, San Francisco also will be without the services of Brit transfer Philippa Bowden, another Oregon convert, who has the ability to be an All-American immediately. For USF, the ripple effect of the Powells' move to Seattle means that another trip to the NCAA podium could be many years away. The Hokies roster hasn't been depleted beyond recognition like that of San Francisco, but there's no doubt that the loss of coach Ben Thomas--who led the Virginia Tech cross country and distance squads in Blacksburg for 17 years--is a painful one. Thomas took the Oregon job in July coming off perhaps the best season of his coaching career, as the Hokie men won the NCAA DMR title in March and had three All-Americans in the mile at the same meet. Thomas' strong mid-distance group led Virginia Tech to their first ever podium finish at NCAA indoors, as they were fourth in College Station. The success continued on the outdoor track, as senior Vincent Ciattei was runner-up in the 1500m at NCAAs and junior Rachel Pocratsky was fifth in the women's 1500m. The Hokies are clearly valuing continuity after Thomas' exit, as they hired his assistant of the past four years, Eric Johannigmeier, to be his replacement at Tech. Since Thomas coached 74 All-Americans during his tenure, a coach familiar with the system taking his place makes a lot of sense.